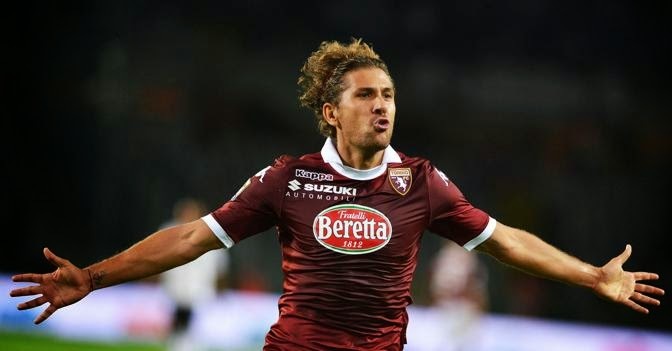 Alessio Cerci claims he was a target of cyber pirates, which is the adult version of the dog ate my homework. 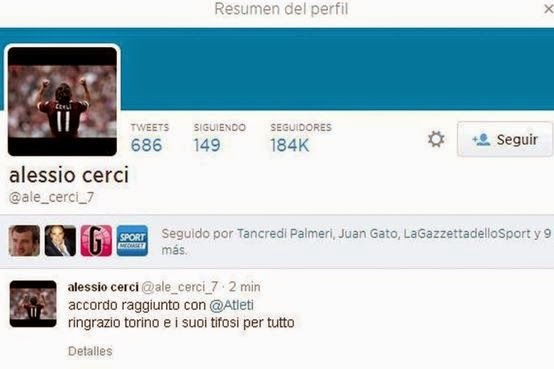 Alessio Cerci, currently plays for Torino, apparently had taken to Twitter to announce his move to Atletico Madrid. He is now claiming that it wasn’t him that sent the tweet out, but rather some cyber pirates that had hacked his account. Stranger things have happened, but if cyber pirates are targeting Alessio Cerci it must be a slow day in the world of cybercrime. He claims that he was playing Playstation and someone hacked his online account, thus gaining access to his Twitter account and sending out this false tweet. A couple of questions come to mind when I read that explanation, first was does he play FIFA 14 online and if so is he playing as himself? But I have digressed from the main point of this story. He goes on to say that he wasn’t aware of the situation and that it wasn’t until Torino PR department contacted him that he realized what was going on. He also says that he wasn’t the one that deleted the message a few minutes after it was posted, and that he expects the authorities to find the guilty party. Yeah, sure, there is nothing the Italian police rather do than look for the culprit of this vial crime. Just in case, the police is looking into this, let me help them by give them a brief description of who they should be looking for. Male, owns a Playstation, Italian or of Italian descent, spends a huge amount of free time playing online games, knows how to use Twitter and perhaps as an inability to keep something to himself and has a very loose lip. Alessio, does this sound familiar? Could it be someone you know? He ended his explanation to the media by saying that he is a Torino player but the market is still open. This guy is incredible, and I don’t mean just on the field or on Playstation. He has a way with words, and at a time where perhaps less could be more, he went with more. Hopefully there is a lesson that not only Alessio but all of us can take from this story, hackers play online video games. Players beware, it could be you next.